Countdown PHP Script is most popular nowadays. It is purposely designed for the web owner who wants to provide an alarming tick-tock functionality into their website. The functionality of countdown timer lets your website visitors speculate about the launch of your new website or web applications. In actual, it is an accurate timer detector which gives the users a clear indication of how long they need to wait before they can get access to your site. From “coming soon to we’ll be back in, “end of the deals to last 2 hours left” countdown timer comes with all these depictions. So, for these useful features & depiction, we’ve gathered 6 topmost Countdown PHP Script in this blog which helps you to set a countdown timer to any special event, such as a birthday, anniversary, event pages, flash sales etc. Plus, these scripts further provides you various core features numerous countdown formats with the lots of amazing effects, video background for the countdown page, setting up the countdown timer according to the country’s time zone and so on. Now, I would like to suggest you without more delay, dive in below and read the products one by one. Under Construction Builder is designed for those who want to manage under construction page of their website with ease and efficiently. 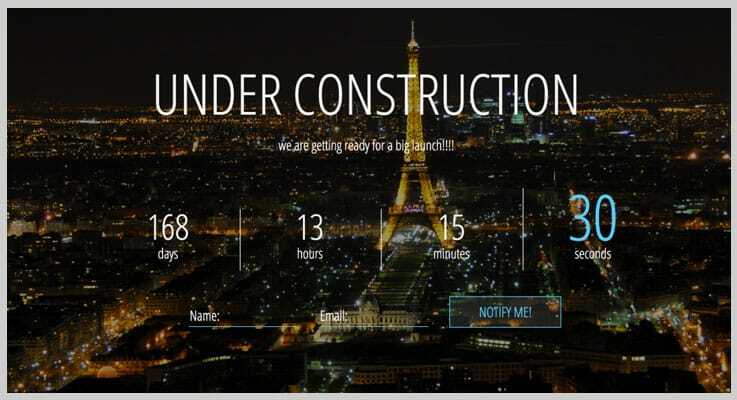 It will allow you to set the countdown timer along with the progress bar on your under construction web page. The Under Construction Builder is a completely flat-file driven database which allows the users to specify data attributes, such as columns, data types, tables etc. so it doesn’t require any external database. This product gives you a feature to add progress bars in a percentage format. Under Construction Builder allow you to update or change the countdown status of your product any time. 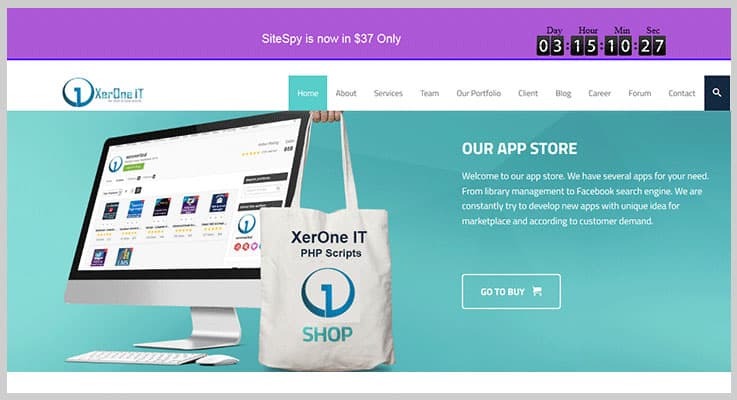 The script is fully responsive so it supports all the latest version of PHP framework. This product will cost you $7 only for all its basic & advanced functionalities. ComingSoon Script is one of the ideal choice for any web owner who wants to add the functionality of coming soon for their upcoming project, services, events etc. With this script, you can make aware your customer about the exact timing left in launching your new brands or products. Also, you can set the description message on that upcoming products & brands on your website’s homepage. The product comes with a subscribe form so that user can subscribe for the product availability and later the subscription list can be easily downloaded from the admin panel. You can use lots of amazing templates for your coming soon page as the product comes with numerous of amazing templates. With the help of the script, you can manage the subscriber’s list like their name, emails and later you can send them a message once your product gets to launch. Get this powerful product at $6 which is its basic plan. Whereas you can also purchase its extended plan at $27 only. OnTime is a responsive yet customizable PHP countdown script which updates your user about the exact timing left to launch your upcoming products via “coming soon” timer functionality. The script consists of the latest designs of HTML5, CSS3, bootstrap which makes you sure that your site will look good on any device. The product provides a feature of email notification for your customer to notify them if product’s launching timer get over. Admin can manage the large of subscriber list such as their name, date of subscription, timings etc in a subscriber list section. The product allows you to change the background color as well. Its costs you only $11 for all the above basic features. You can also go through with its extended plan at $100. Using Easy Countdown system put your customer notify and keep them posted before your site gets launched. It doesn’t require any database as all data are saved in XML. The product contains jQuery countdown plugin with its uniques font style and makes your timer even more simple. It contains a contact form for guest to send the inquiry emails to the admin. A webmaster can send email to subscribed guests directly regarding the product. It contains a Google map to display your company’s exact location to the customer. Comes with a customizable countdown message so that you can send the message to the customer in a customized form. For this, you need to pay $11 which is its basic plan and $55 which is its extended plan. TimerPlanet is a marketing application which helps you to build a countdown timer into your web page. 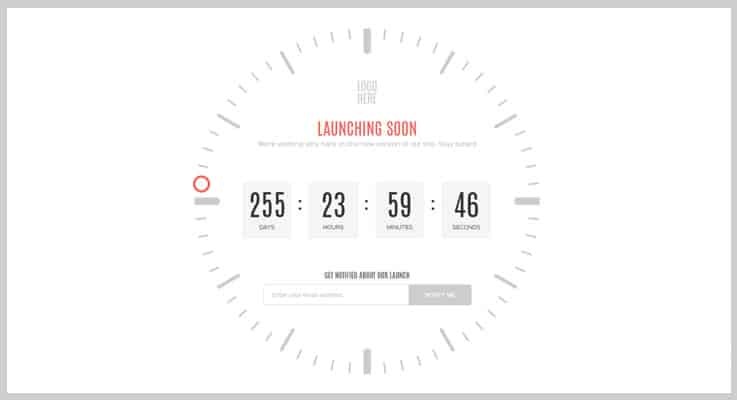 It allows you to embed countdown timers with your HTML email templates. The product provides you a feature of sliding background image or video background to design the coming soon page for your website. Also, you can track the emails and can see views & clicks statistics according to country-wise of every day or last 30 days. In fact with the help of this script, you can use the email timers not only in emails but also in your sales pages as well. It comes with a feature of email tracking with which you can view the overall statistics of your emails. You can also design sticky header/footer bars with timers to embed in your website to promote your product. You just need to copy & paste the codes to show timer into your website as it comes with predefined codes. It has a feature in front end where you can add an advertisement for the promotion of your brands. Pay $28 and get its all basic feature & functionality and pay $155 to get more advanced features. 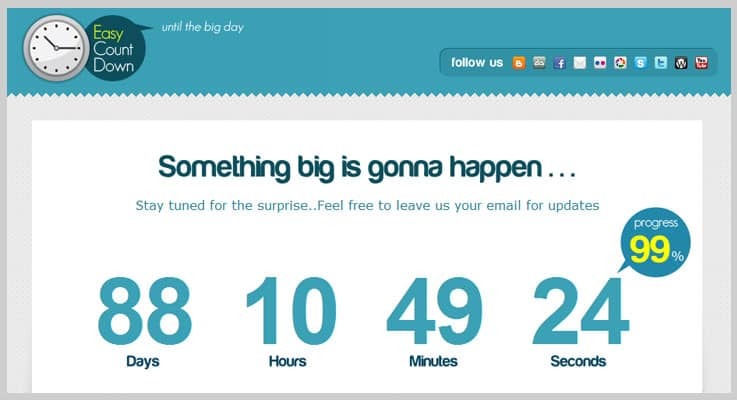 Extended Coming Soon Countdown PHP script is one of the reliable and most popular PHP script. It helps you to create countdown functionality for your website with progress bar based on elapsed time or percentage timer. The product comes with a subscribe form so that your customer can easily subscribe to your product & services. It comes with a cronjob based automatic alert functionality which helps to runs your upcoming project periodically at fixed times, dates, or intervals. Get its basic plan at $7 only and get its advance plan for more advanced features & functionalities at $35. So above are some of the best Countdown PHP Script software which you can use for your upcoming project, offers etc. Through these scripts, you can keep your customer updated about your product launching date & time in a unique manner. Almost all of them allow you to change templates, background colors anytime. Even all your customer gets notified about each product & services via its email notification functionality. So, after reading these scripts its time to finalize the best one. Hope our suggestions helped you! In case of any queries or suggestions drop us a comment below.